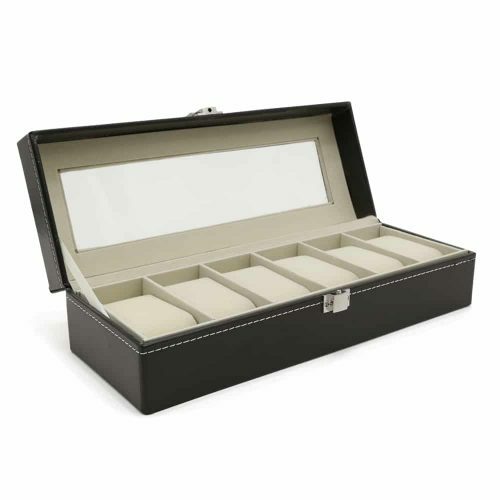 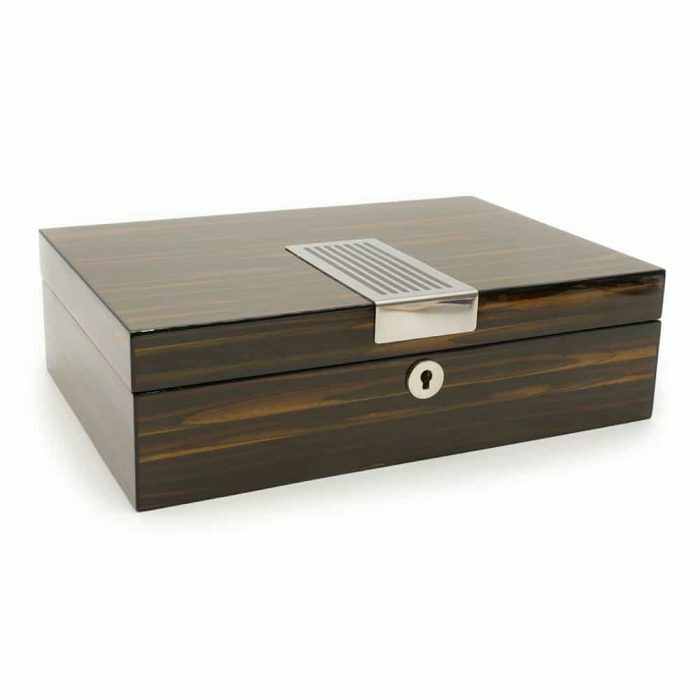 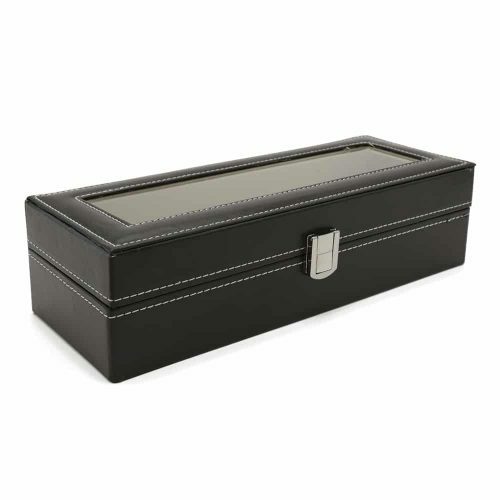 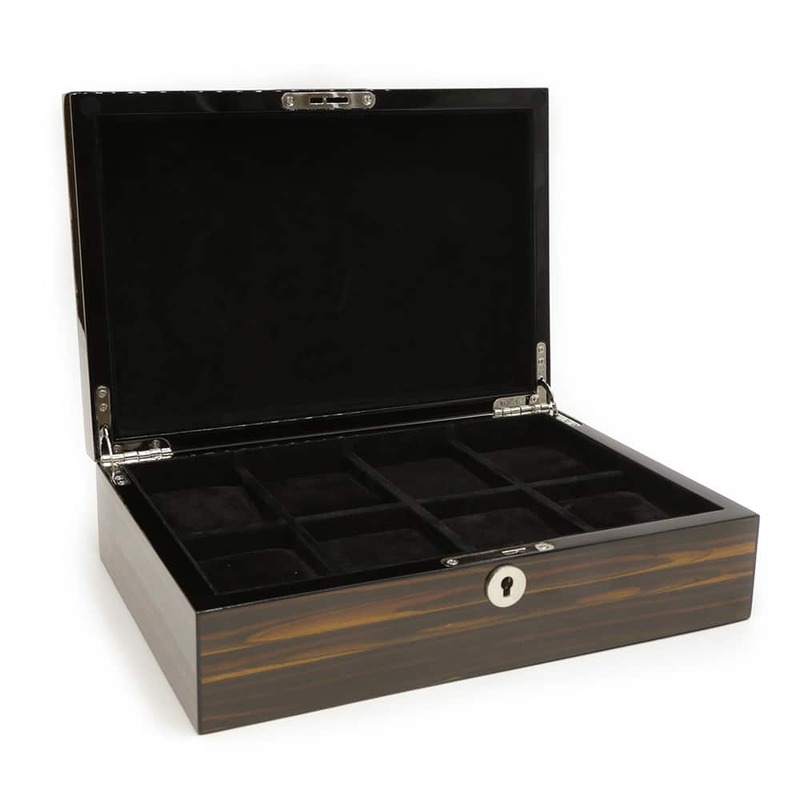 Stunning and secure, this African Brown 8 Slot Watch Box is the perfect storage box for your collection. 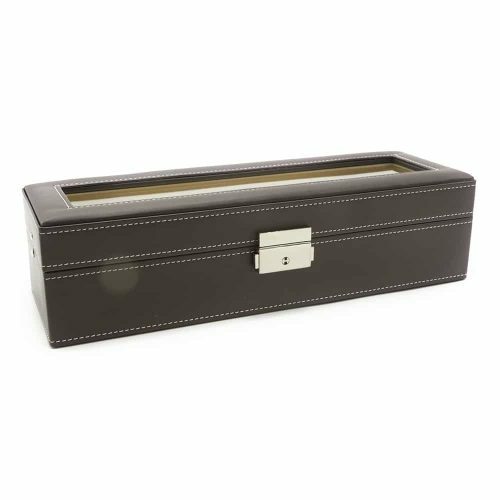 It comes in a dark brown with a stainless steel stripe on top to give it a more modern look. 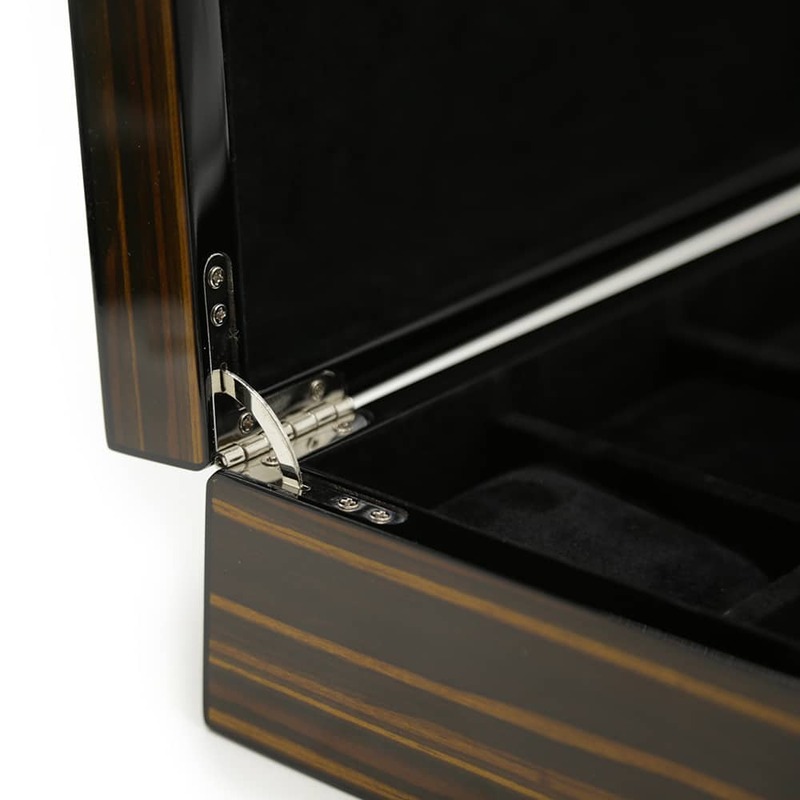 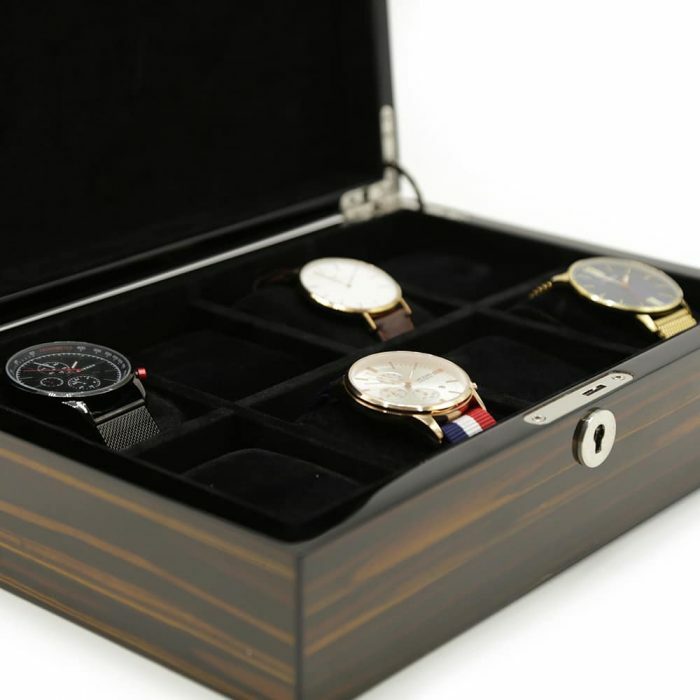 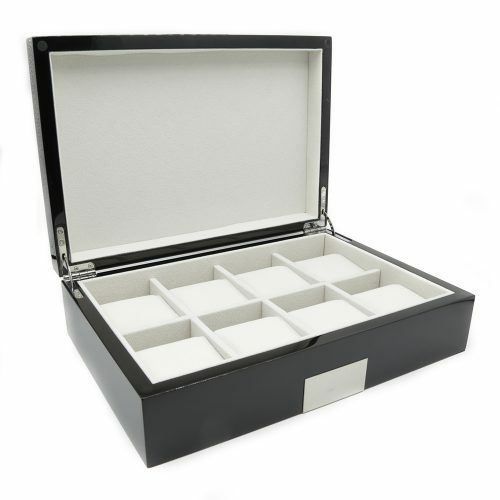 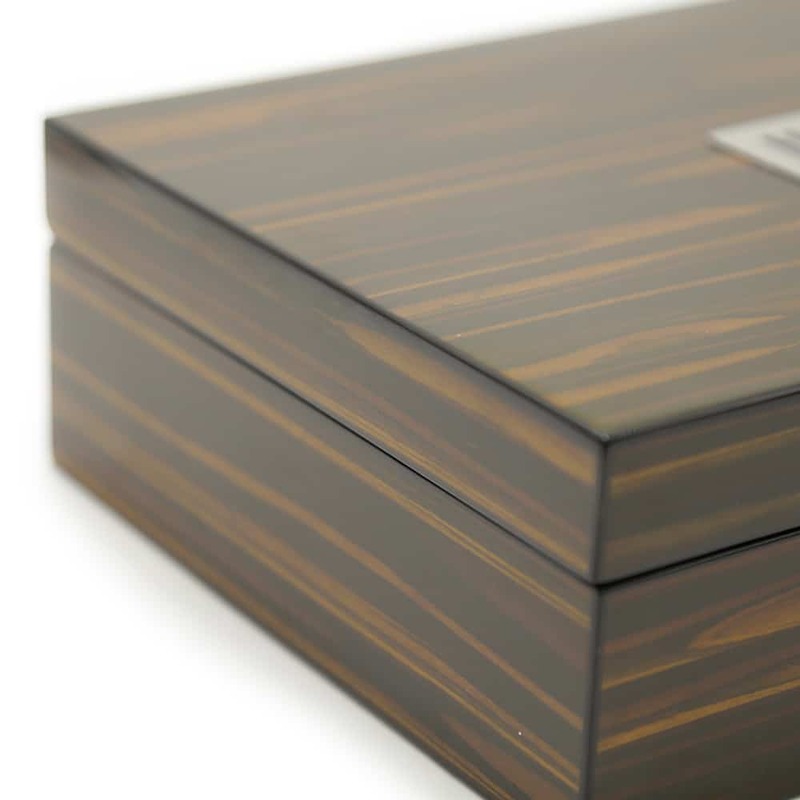 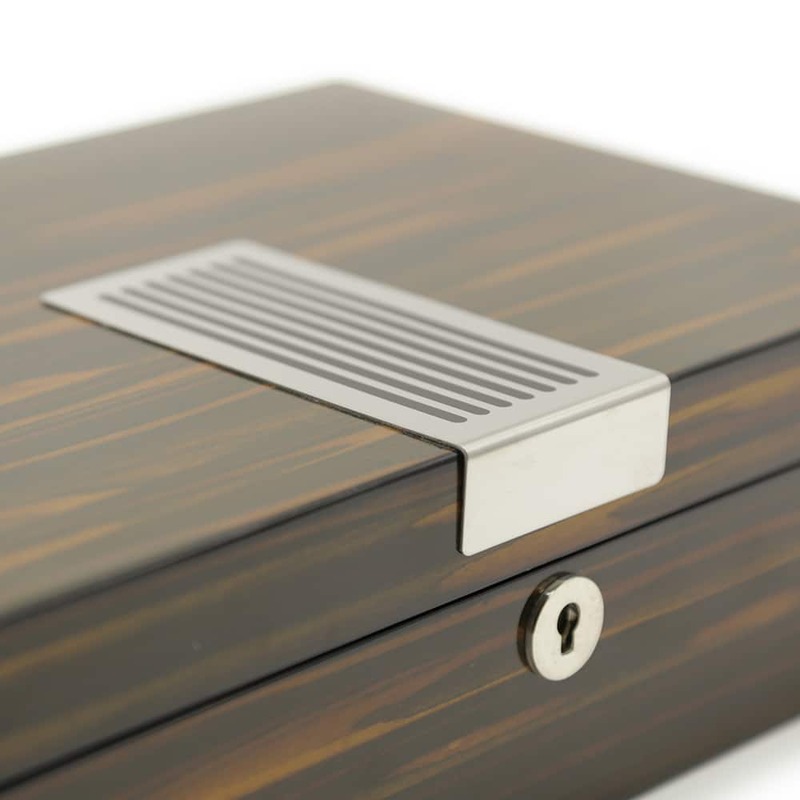 Inside, it comes with a stunning black velvet interior with 8 large slots allowing for watches with large faces. 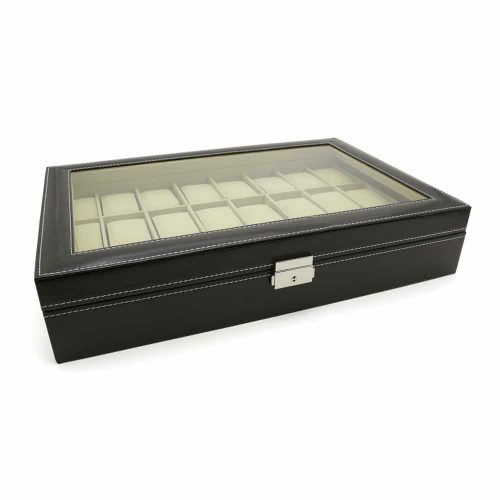 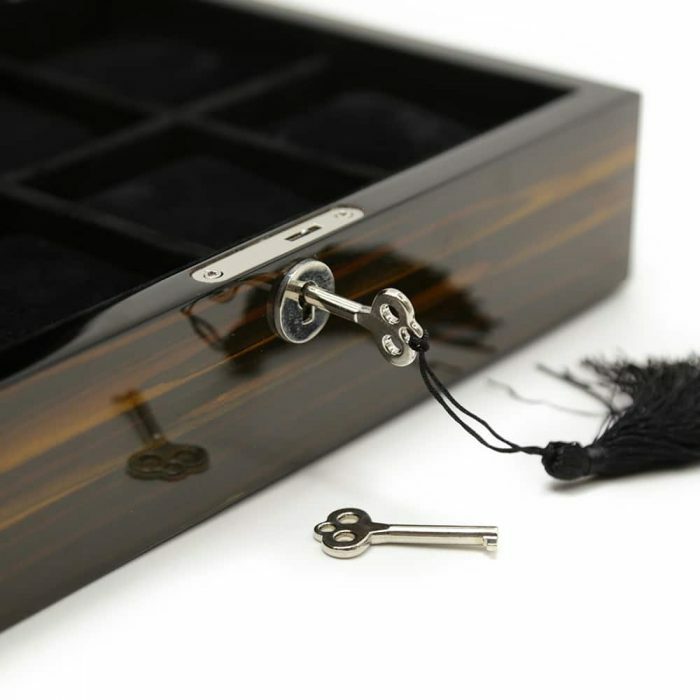 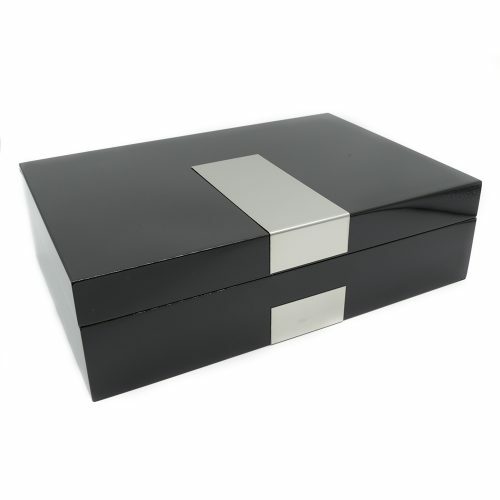 This box also includes a lock and key to allow you to store your collection securely. 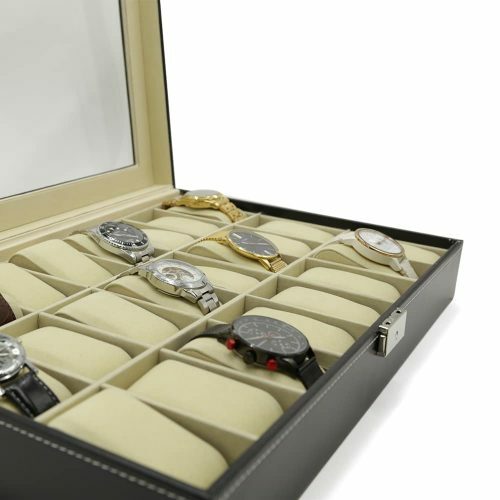 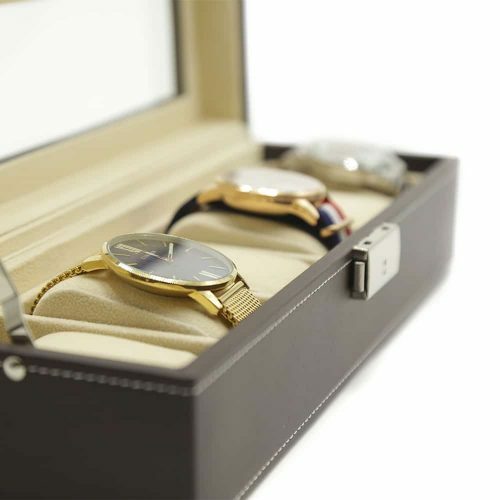 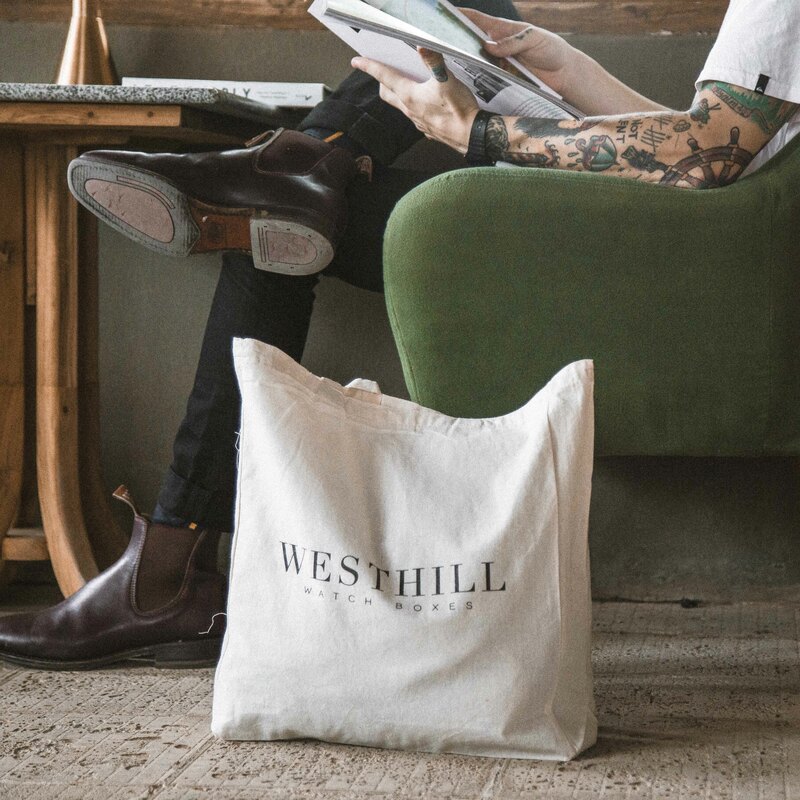 You can rest assured knowing your watches are safe and protected from dust, dirt, and damage.